It's February in Minneapolis. Needless to say, I'm freezing. I really was beginning to think that the weather was finally starting to come around and that spring was on the horizon. But no, I was sorely mistaken. We're in for yet another blizzard this week. And that means it's back to the winter boots, oversize sweaters and endless amounts of layers. A few weeks ago, I stumbled across a few Burt's Bees products that I seriously can't live without. If we're being honest here, I was a huge fan of their lip balm, but never ever gave their lotions a second thought. Well, ladies and gentlemen, I'm glad I did. Obsessed doesn't even begin to describe it. Not only do all of these products smell fantastic (think honey meets lavender and sage), they keep my skin healthy and not dry. For a Minnesotan, this is a miracle. 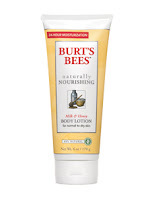 Personally, I use the Naturally Nourishing Milk & Honey Body Lotion right after showering and keep the Ultimate Care Hand Cream at my desk at work. 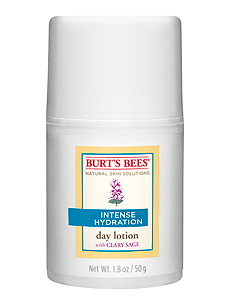 And the Intense Hydration Day Lotion? In my purse at all times, except when I throw it in my gym bag. Now that I'm saying this out loud, I feel like I'm a little bit obsessed. But I don't care. I am in love. 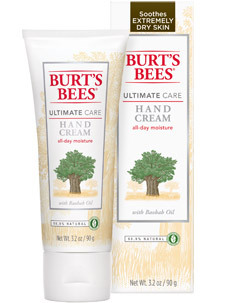 Ladies, how do you battle dry skin in the winter?